Do you find yourself flooded by Trumpworld only to wish you could zone it all out? That frenzied state of distraction is exactly what the Donald is aiming for. 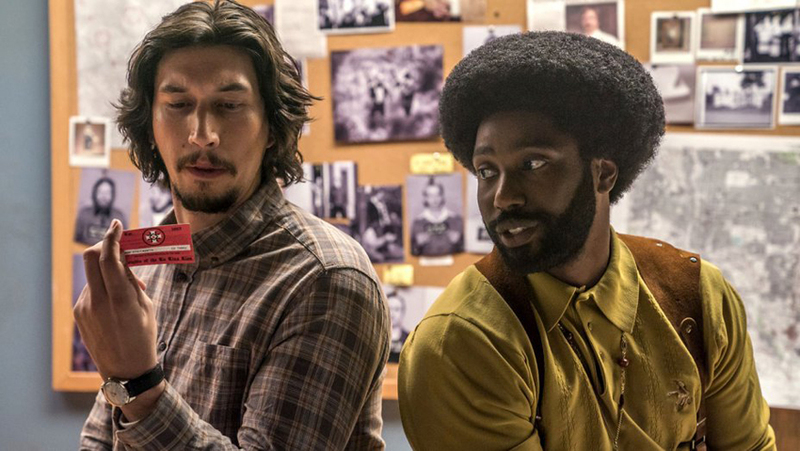 Spike Lee’s new film, BlacKkKlansman, aims to give us clarity and put things in perspective. Anyone familiar with Spike Lee’s work appreciates its integrity. 1989’s Do The Right Thing deftly confronts American race relations. That is a powerful movie. 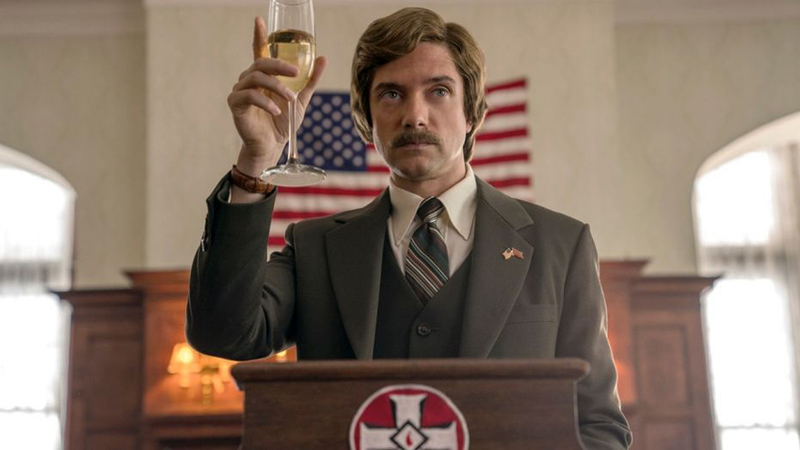 Lee brings that same energy and intelligence to 2018’s BlacKkKlansman. As a cartoonist, I often wonder about how the comics medium, in all its varied forms, can best address the current Trump crisis. I think Jim Carrey’s cartoony paintings, with their raw quality, have a much greater impact than perhaps most professional editorial cartoons. As for anything remotely falling under the “graphic novel” category, I’d have to give a lot of credit to John Oliver’s parody of Mike Pence’s Bunny Book. That said, whatever the art form, it is the measured response that ultimately wins the heart and soul of the viewer. Spike Lee has certainly given careful consideration. Based upon a true story, Lee’s main character is a young and idealistic African American man conflicted by serving his local police force and serving his community at an activist level. The narrative masterfully weaves in the 400-year-old American racial experience: past, present (1972), and future (2018). There are those moments when everything comes to such fine point, especially after the newly-minted undercover detective Ron Stallworth (John David Washington) has gotten settled into his job. 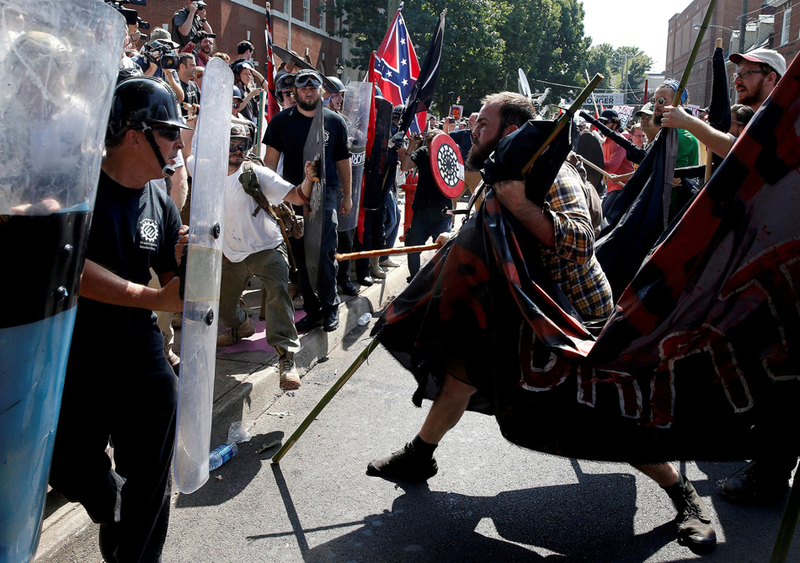 One fellow officer talks with him about how white supremacists are steadily going mainstream and it will eventually lead to the White House. Ron shakes his head in great disbelief. Spike Lee delivers a good dose of reality that can stir the soul. We don’t do this much anymore (maybe for Star Wars and superhero movies) but this film will have you in the mood to clap at the end. This movie got me good and I was clapping. I even yelled out that folks can applaud. I did it in that communal spirit that many of us in Seattle respond to. Well, not only in Seattle. And, like a chain reaction, people did applaud. It didn’t last very long since, as I say, we really don’t applaud movies anymore. But it did happen all the same, even if momentarily. We Americans need to respond to the current American crisis every chance we get. 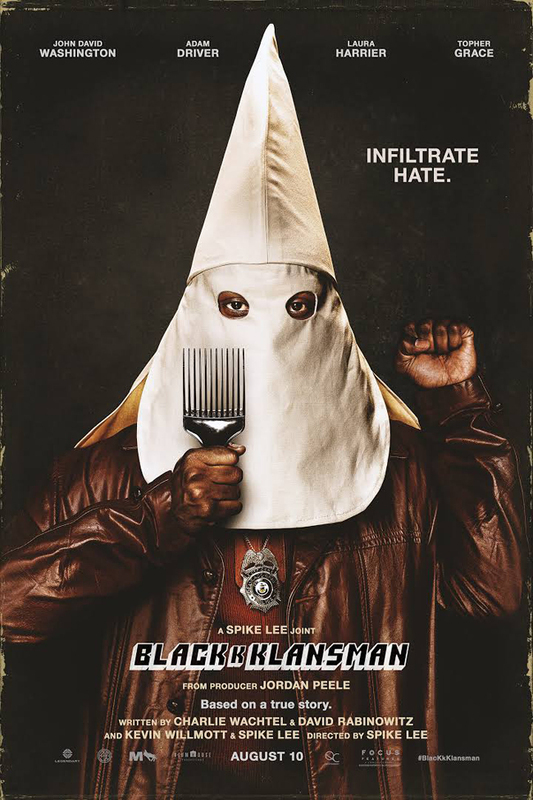 BlacKkKlansman responds to that very real need. It’s a start and it will, no doubt, inspire others to do much more, like voting. It is, and it manages to be funny, and political, and entertaining, and jarring. It’s thoughtful and comprehensive and it struck me again how much Lee’s voice has impacted us culturally. Spike Lee is in a unique position to speak to issues of race and he rises to the occasion. I haven’t seen it yet. It’s definitely good to get people thinking about these things. But over the years, I have found myself wishing Spike Lee would approach the human condition and its struggles in a more universal and symbolic way. But that’s just me, and I have my reasons. Very inspiring and motivating review, though! I suppose you could say his specificity, in fact, does speak to the universal. Spike Lee needed to address Trump within the context of his body of work–and the material for this film is such a perfect fit. This is a great review that gets to the heart of the film’s social themes. Plus I appreciated your point of view as a cartoonist. Thanks for sharing. I enjoyed your review as well.